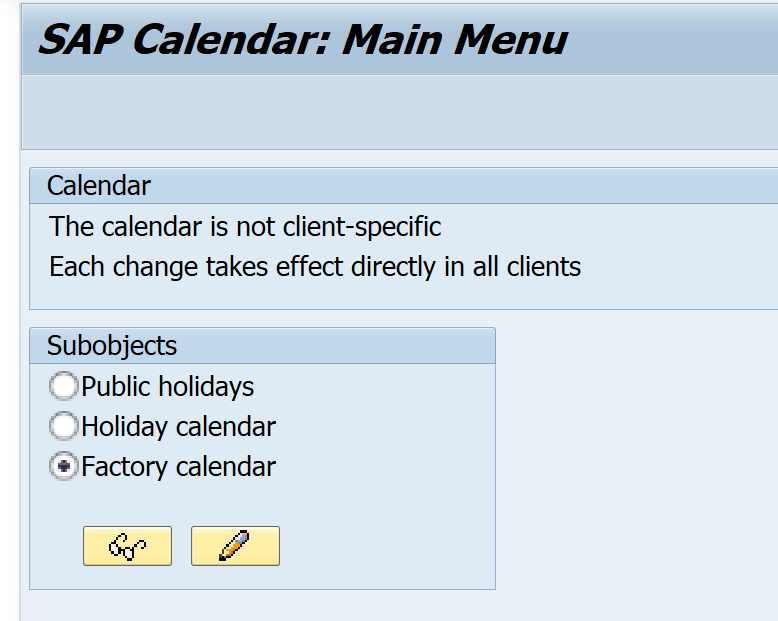 This type of functionality all comes back to a factory calendar such as ‘GB’ in this case so if you are receiving the date_after_range error it means that date you are checking is outside of the range set up in the SAP factory calendar definition with transaction SCAL. It would be the same if you were getting the date_before_range error. It is also very simple to fix, simply execute t-code SCAL and change the validity of the calendar you are wanting to use so that includes the dates you want to check. Then choose the one you want to update.